Building blocks are a favourite in our house, for both my one-year-old son and his four-year-old sister. They both seem to get so much out of playing with them, especially my boy who loves nothing more than to knock over his sister’s towers. 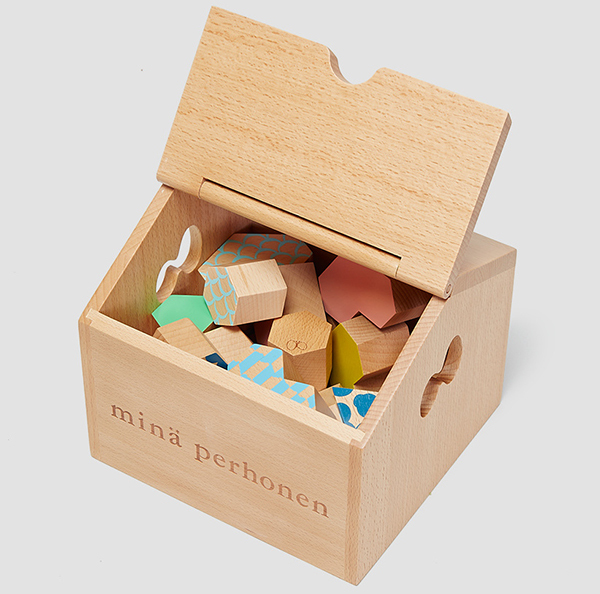 I am loving the Mina Perhonen Tsumiki building block mix available from Couverture & the Garbstore. The stylish blocks designed in Japan and made in Vietnam are perfect for little hands. This is not your average block set, the building possibilities are endless with their interlocking shapes. Not to mention that these blocks are very easy on the eyes. The super stylish prints and colours are simply gorgeous and will even look great when they are left scattered around your house. The blocks come in a mix of 24 colourful blocks that easily pack away in their very own little wooden house. Made from 100 percent wood and suitable for 18 months and older, these building blocks will put your little one’s mind to work. You can find them for £115 at Couverture & the Garbstore which ships worldwide.